Lisa Jarnot. Photo on left by Joan Beard Photography, 2012. 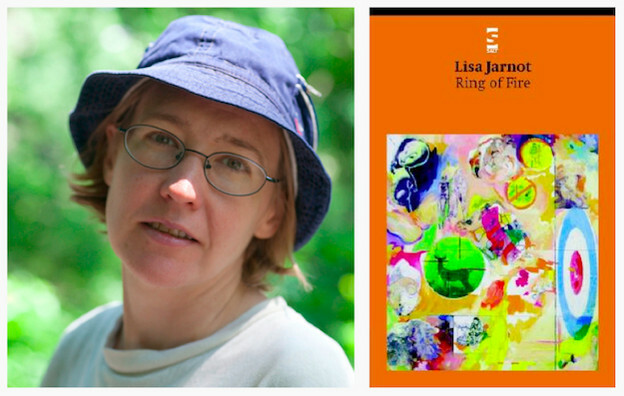 Through my exploration of the poetic sentence and the prose poem, I have become fascinated by the work of American poet Lisa Jarnot, author of the trade poetry collections Some Other Kind of Mission (Burning Deck, 1996), Ring of Fire (Zoland Books, 2001/Salt Publishing, 2003), Black Dog Songs (Flood Editions, 2003), and Night Scenes (Flood Editions, 2008). A New York City poet born in Buffalo, Jarnot is also the author of chapbooks that include Fall of Orpheus (Shuffaloff Books, 1993), Heliopolis (rem press, 1998), Nine Songs (Belladonna, 1999), The New Mannerist Tricycle (with Bill Luoma and Rod Smith; Beautiful Swimmer Press, 2000), The Eightfold Path (a+bend Press, 2000), One’s Own Language (Institute of Further Studies, 2002), Reptile House (BookThug, 2005), Iliad XXII (ATTICUS/FINCH, 2006), Amedellin Nosegay Cooperative (Song Cave, 2010) and Joie de Vivre (Dirty Swan Projects, 2011), as well as the new biography of the poet Robert Duncan, The Ambassador from Venus (University of California Press, 2012). Jack London Square on a Sunday morning buying jam. aimless and have several new tattoos. Sea Lyrics was written after Some Other Kind of Mission, though I drew it from information (memories) previous to Some Other Kind of Mission. I lived in California for three and a half years (from 1989 through 1992) and Sea Lyrics sorts out all of that. It has some Whitmanisms, but it also has some Ferlinghetti-isms (“I am waiting”) in it. Sea Lyrics was very much a response to living in New York in two ways. Firstly, I had just enough distance on the terrain of California to start to understand how shell-shocked I had been by its culture (in a good way, for the most part). Secondly, I had moved to New York early in 1994 and found myself in the midst of a community of young people who had come into poetry primarily through Language writing, and that also seemed very foreign to me. I realized at readings that it was entirely shocking if someone used the word “I” in a poem, so I decided to run with that, to exhaust the “I” and to bounce it off the particulars of Oakland and San Francisco. What saves this from being oppressively narcissistic is the equally obvious point that these pieces are not biographical in any conventional way (“I am underwater buying jam”). The identities of this “I” range from the whimsical (“I am all the hot dogs and the roof of city hall”) to the almost incomprehensible (“I am of the new year sober now”). What is more, this poem can in no way be construed as a report on the whereabouts of its supposed speaker. Unlike the artist in “830 Fireplace Road,” Jarnot’s “I” is here, there and everywhere and all at once. Part of the wit of this series lies in the way it plays the verb “to be” (I am) off the present continuous (I am writing, I am dancing, etc). It shows quite clearly how the same words can have quite different uses, at the same time that it raises the question of the relation between identity (I am) and action (I am doing). To what extent, then, is the poem actually about the bits of language it puts into action? Yet another of the great pleasures afforded by Ring of Fire is the poet’s anaphoric “I,” that acts like a fractal integer, the secret number divisible by everything it is not. Divide this “I” by any object you choose and come up with a mise-en-abyme, an infinite regress of the same figure — the figure of the Other — across a landscape of mirrors. To say “I am this,” or “I am that,” with such repeated, hungry insistence, is not to say “I” at all. Or if it is, it is to say the little “i.” The I that has been emptied out, that stands as the sign for its own erasure. The “I” of Sea Lyrics, then, is the kenotic I. Evacuating itself, it permits everything to occur, and all at once. and sober, having recently discovered all the birds. empty and where winterless I am. California, a large country of the West Indies, lying between 116º and 138º W. long. and between 23º ad 46º N. lat. It is uncertain whether it be a peninsula or an island. We might know, as readers, the geography of California well enough to know the difference, but the poem doesn’t stray far enough from shore to know, from the openings of the “partially submerged boat” to “I won’t go to the waterfront anymore,” and closing in on the end of the sequence, writing “I am bludgeoned by this most exotic ocean, currently,” to “I am getting better like / the oceans on the sidestreet, I am surrounded by water,” and “down the surge of waterways in dark,” to “the pier with all / the sink hones on the edge,” and “I am at the ocean from the tops of / towers.” With so many references to surf, moisture, fog, rain, water and hottubs, but for the single reference to the actual ocean, these lyrics are more often for an abstract sea, or is she at the waterfront, staring out? Should these, instead, be waterfront or even bay lyrics? 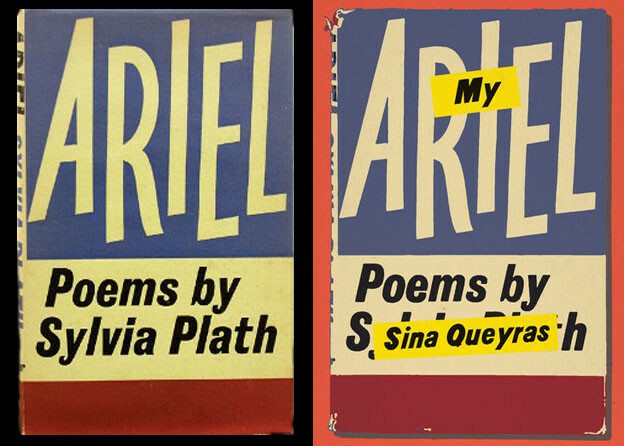 The poem stands, but can’t it also swim? Jarnot repeats, rewrites and alters, and her California, it would seem, includes references to San Francisco’s Grateful Dead, Carol Burnett, Huey Newton (the Black Panther cofounder shot in West Oakland in 1989), Huey Lewis (stepson of San Francisco poet Lew Welsh), Lucretius, “the church of Thelonius Monk,” “Lammas Tide” (the tide that comes up on Lammas Day, August 1, referenced also in Romeo and Juliet), “this Saint Ana wind” (a wind that comes up the southern California coast), and Atlantis. Is this “Sea” or “See” lyrics? Some of you will never go to Long Island. Some of you will but will never go to Walt Whitman Mall. Some of you will enter Walt Whitman Mall and head straight for Foot Locker. So let me tell you about the façade of Walt Whitman Mall, how it’s carved with passages from Leaves of Grass, how the block Emigrant Savings Bank sign is bolted to the poem. not know what it is any more than he.